Robert Tang | Make time to help others see the world half full when they feel half empty. Make time to help others see the world half full when they feel half empty. 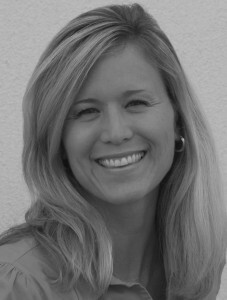 Michele Benoit, RNCP, ROHP, is a Nutrition Expert at Applied Nutrition Canada. She will be speaking at danceScape’s new “Life Makeover” Seminar Series & Open House on Monday, January 10th and Thursday January 13th in downtown Burlington. 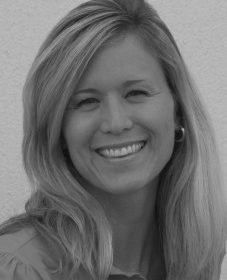 Hear her inspiring story about how she was recently diagnosed with Celiac Disease and her passion to help others through Nutrition counseling and Nutrition Response Testing. RSVP by calling (905) 633-8808 or E-mail events@dancescape.com. My participation in ParticipACTION’s Television Campaign earlier this year resulted in life changing opportunities to connect with other Creative Arts and Health & Wellness professionals who are as passionate as I am about championing health, fitness, and wellness to Canadians. With the final days of 2010 looming, this is the best time to reflect on all of our Life paths. My own involve those flashes of childhood memories in Malaysia, the country that my parents left to find new opportunities for my sister and I; to growing up as a child of immigrant parents and brother-protector of my younger sister in Mississauga, Burlington, and Hamilton; to taking time off after undergraduate school and working at “Woolco”; then with steely determination, being admitted into the Schulich School of Business for their MBA program; to giving up the fast-tracking career that all MBAs aspire and choosing the road less travelled as an entrepreneur in the Creative Arts/Dance industry; to securing startup venture capital funding from two angel investors from Seattle, Washington; to testing myself on national television in front of Canada’s business elite on “Dragons’ Den” (and failing miserably! 😉 ); to finding my partner in love, life and dance and in particular the health challenges that we and our families have faced over the past few years. And learning many Life lessons along the way. So, as the New Year approaches, how shall I define my “Life’s Mission” for 2011 and beyond? My personal Life philosophy has always been about taking risks and overcoming challenges. And in particular that “Artists” — whether in Dance, Music, Drama or other Creative Arts — need not feel guilty about aspiring to make loads of money from their work or at least being able to generate the income stream needed to one’s creative efforts for life, as with any other traditional profession. There is a lingering romanticized stereotype of the “starving artist” which I understand is an echo from the mid-19th century writer Henri Murger’s Novel, “Scènes de la vie de bohème” that still pervades in the Performing Arts (especially Dance) communities. My Life’s Mission re-defined for 2011 and beyond … is to inspire and empower other Arts Entrepreneurs and connect them with the business leaders of today who are blazing the trail for a new generation of business savvy Creative Artists. This Holiday season & beyond, celebrate who you are & the life journey that has gotten you here! If you are an Arts Entrepreneur like me who has an interesting story to share, I would love to hear from you! Contact me through danceScape at (905) 633-8808, E-mail info@robert-tang.com, or through facebook at http://www.facebook.com/dancescape. 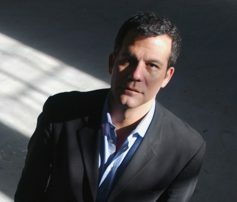 Richard Florida is Director of the Martin Prosperity Institute and Professor of Business and Creativity at the Rotman School of Management, University of Toronto. His previous work includes national bestselling books as well as numerous papers and articles. I first heard about Richard when I was a Board member at Performing Arts Burlington (now known as Creative Arts Burlington), and was inspired by the messages in “The Rise of the Creative Class“. He has recently released a new book called, “The Great Reset“. And he apparently plays a mean guitar! As Richard has stated in many interviews, every human being is creative and there are 38 million people privileged to be paid to be creative! Most people who talk about creativity consider three dimensions: technology, economic, and artistic or cultural. The Creative sector of the economy accounts more than 50% of all wages and salaries paid. A few months ago, I discovered that one of our friends, John Lawrence Reynolds, had co-written a book with Frank O’Dea, Co-founder of the Second Cup, the largest Canadian-owned specialty coffee retailer. If you are looking for inspiration about to overcome obstacles in life, “When All You Have is Hope” is a must-read book. 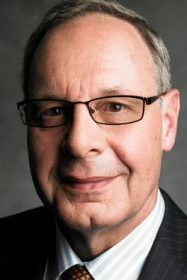 Surviving sexualt assault and alcoholism in his teens and early twenties, Frank ultimately became a respected entrepreneur and one of Canada’s well known philanthropists. Luca “Lazylegz” Patuelli was profiled on So You Think You Can Dance Canada last night. 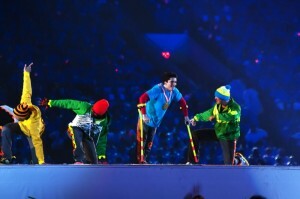 Just found footage of Vancouver 2010 Paralympic Opening Ceremonies featuring Luca. WOW, this bboy is an inspiration. NO EXCUSES to what we can all overcome and accomplish in life. 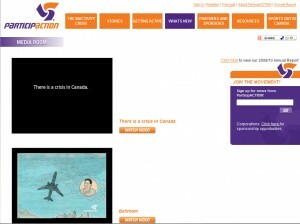 ParticipACTION is the national voice of physical activity and sport participation in Canada. The organization’s goal is to inspire Canadians to increase their level of activity and to inspire society to make it easier to become more physically active. I’m finally authorized to let everyone know that I have been selected by ParticipACTION to be in a television commercial that will be airing nationally on various stations throughout Canada, beginning April! My story (“Ballroom Dancing for Fun, Fitness & Romance“) was one out of almost 2,000 stories collected through ParticipACTION’s Get Inspired. Get Moving. campaign and posted directly to their online Wall of Inspiration. It has been an interesting but FUN process to be transformed into a cartoon character! The animator took some liberties to add some “Latin” moves even though I’m a “Standard Ballroom Specialist” (Waltz, Tango, Foxtrot, Viennese Waltz, Quickstep) lol ! But more importantly, I hope I can help inspire others — especially men — to learn to dance. It was my parents, Aaron & Judy, who introduced me to Ballroom Dancing. I didn’t know it yet at the time, but also to my future wife, Beverley. My parents, sister and I immigrated to Canada in the early 1970s to escape from the political issues in Malaysia at the time. My father was a Ballroom Champion in his youth, and decided to revisit his passion by taking lessons in Waterdown, Ontario with my mother. When they decided to compete for their first time together at a competition in Kitchener, my sister and I decided to go to the event and cheer them on. It was there that I was introduced to Beverley and you could say, quickly became her “secret admirer”. For someone who has had to battle chronic shyness and dyslexia throughout my youth and adult life, I discovered a way to cope with those challenges through the sport of competitive Ballroom Dancing. When my voice wouldn’t naturally say what my brain wanted, dancing was ideal for me because I could communicate non-verbally through facial expression and body movement. And the skill of leading a partner around the floor made it similar to a game of chess, so it provided a fun way to challenge my mind. Our hard work started to pay off, and ultimately resulted in our becoming 3-time Canadian and 2-time North American Undefeated Amateur Ballroom Champions. We represented Canada at five World Amateur Championships, competing in Denmark, Holland, Austria, Germany, and Japan. Having participated in other sports like Martial Arts, Tennis, and Track & Field, I was training and expending energy that was equivalent to what I did in those other sports. In 2001, my wife and I left our corporate jobs and began a new chapter of our lives as Ballroom Dance instructors. We’ve been teaching people to dance ever since, with students ranging from teens/youths, young adults, baby boomers and seniors. If dancing has changed or added to your own lives, please share! If you’re new to dancing, please joing me at danceScape in downtown Burlington, 2077 Pine Street (at Pearl). There are some FREE dance lessons coming up at the May Open Houses. Check out www.dancescape.com/events for dates and times or RSVP at http://lessons.dancescape.com. Beverley and I also have an instructional video, “for absolute beginners ballroom dancing” 2-DVD set that was featured on CBC’s Dragons’ Den (portion of proceeds will go towards the danceScape Endowment Fund). “So You Think You Can Dance” has provided a wonderful opportunity for dancers and choreographers to showcase their talents to a mass television audience. In North America, just the mere mention of “Benji”, “Nico”, “Mia”, “Blake”, “Jean-Marc”, “France”, “Mary”, “Melanie”, and “Tony” almost brings about the same type of first name recognition as “Cher”, “Michael”, or “Madonna”. Last Sunday, Beverley and I attended the filming of So You Think You Can Dance (Canada) in downtown Toronto. This was arranged by choreographer extraordinaire and former United States Professional Latin Champion, Melanie (LaPatin). 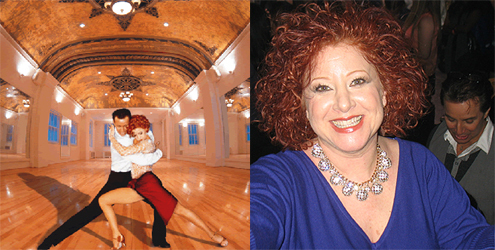 We’ve been long-time fans of Melanie and her partner Tony, and loved watching them throughout their illustrious career at various championship events in North America and Europe, as well as on PBS television’s “Championship Ballroom Dancing”. They have a beautiful dance studio in the heart of New York City called Dance Times Square. Over the years, we had kept in touch, and had even referred various US Television inquires to her studio, when they were looking for dancers in the New York City area. In 2004, when Melanie was featured on TLC’s “What Not To Wear”, she was kind enough to provide VIP access to one of our danceScape members so that he could take photos of her makeover reveal by the show’s hosts, Clinton Kelly and Stacy London. When we learned that she was starring in new movie called “Leading Ladies”, we arranged to do a one-on-one danceScape Podcast interview. After the interview, Melanie indicated that she and Tony were going to be in Toronto in August and September to do some choreography for Season 2 of So You Think You Can Dance (Canada). She asked if we were interested in coming to the show, and offered to try to arrange for some VIP tickets if we were. Melanie kept true to her word and this past Sunday, September 20th, we received word that VIP tickets were waiting for us at Showline Harbourside Studios in downtown Toronto. When we arrived at the studio at about 4:40 p.m., there was already a lineup of people making their way into the building. After passing through security and being “wanded”, we checked in at the reception desk. We were then directed to the VIP waiting room, which had a long table set up with complimentary hors d’oeuvres and beverages. There were lots of people already there, including dancers from the “Rockettes” who were in town to promote their upcoming show. There were no cameras in sight, so we guessed that there might be some policy that did not allow the taking of photographs. At one point, however, we discreetly pulled out our cell phone and took some quick snapshots. The wonders of technology. It felt like we were in a James Bond movie, and that we were sent on some secret mission to infiltrate the So You Think You Can Dance organization! As 5:15 p.m. approached, we made our way into the main studio area to find our seats. I asked the usher whether we were allowed to take photos, and he said unfortunately, no. The stage was very impressive. Former contestants Taylor, Danny, and Natalie were seated a few rows from us. At about 5:45 p.m., Blake (McGrath) arrived, followed by France (Mousseau-Genereux). There were not enough seats for them, so some of the ushers rechecked for tickets. Apparently, a lot more people from the National Ballet of Canada came than expected. After a bit of shuffling, everyone was then seated. France sat in the row in front of us and we were able to say hello before the start of show. Melanie and Tony finally arrived closer to 6:00 p.m. and we all exchanged a quick smile and hello. Melanie looked absolutely glamorous! Beyond our seating area, and towards the front of the stage was the “Mosh Pit”. This area was packed with teens and youth, all excited to be at the event! Josh and Janet, two members of the show’s production team, introduced themselves to the audience. Josh reminded us of “Ross the Intern” from the Tonight Show with a similar sense of humour, enthusiasm and mannerisms. He brought two cute kids from the Mosh Pit up onto the stage, and asked them to dance. These kids had no inhibitions whatsoever, and received a loud round of applause. Janet explained to the audience that they were going to film all the “audience” shots, which would be inserted into the various segments throughout show. Both Josh and Janet took turns directing the audience to clap at differing volumes, some with cheers, and others without. They had also previously distributed signs that supported various dancers and teams. We always thought that the signs were brought in by real fans, but apparently not! It’s too bad because it does raise issues of authenticity of audience reactions. But hey, that’s the nature of “reality” television! After all the audience shots were completed, it was on with the show. The competition segment itself was filmed sequentially with short breaks in between each dance. There were so many memorable moments, all of which will be aired on television. The last dancers, Vincent and Amy, performed a wonderful jive, choreographed by Tony and Melanie. After the show, we were able to catch up with Melanie and Tony. We thanked them for arranging the VIP tickets. I still didn’t see anyone else with a camera, other than the official photographers. I then asked Melanie whether it was OK if I took some photos of her and Tony. She began to pose and I “discreetly” snapped away! She looked absolutely stunning, and it showed in the photos. She then asked one of the production people to take a group photo of all of us; we now had an insider working for us! Melanie then took us over to meet the Executive Producer as well as the Media Relations Manager so that we could obtain authorization to blog about our experiences. And hence, this blog with photos! Jean-Marc Genereux was in the middle of a photo session with the other judges, but happened to see and then wave to us. We shook hands and congratulated him on his success with the show. He has so much charisma, personality, and positive energy … and with France, deserves all the success that they have today. Their daughter, Francesca, suffers from Rett Syndrome and both of them have worked passionately to raise awareness and money around this rare neurological condition. It’s no wonder that so many people are inspired by their personal story and that they have developed a huge fan base beyond the Ballroom Dance world! We gave Melanie a final hug. If you ever get an opportunity to hug her, go for it! She gives great hugs! We thanked her again for the opportunity to come out to the show and to be part of the behind-the-scenes filming. She even offered to get us VIP tickets for the finale show! Stay tuned for Beverley’s new blog and her danceScape Podcast interview with Melanie, to be released in October. In the interview, Melanie shares the challenges and triumphs of her career as dance champion, entrepreneur, and actress. She will make her acting debut in “Leading Ladies” which will also star Benji Schwimmer, winner of Season 2 of So You Think You Can Dance (USA). On Wednesday, September 15th at 8:00 p.m., CBC will air the “Dragons’ Den Season 3 Special”, in which danceScape will be included as part of the lessons learned from the Den. There have been times where I thought, “Why, oh why, did we put ourselves through that experience?” The irony, however, is that we weren’t actually supposed to be on the show. Dragons’ Den Season 3 was in production and they were in the process of casting for a new Dragon to join the team. 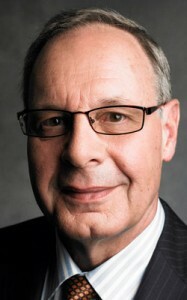 Laurence Lewin, co-founder of La Senza and one of the original Dragons, was very ill at the time, battling lung cancer. The producers asked if we were interested in practising our pitch at one of these Dragon auditions. They made it very clear that we would NOT be in the show. Initially, we were unavailable to do this, as we were in the midst of preparing for our Spring workshop season. A few months later, they contacted us again. This time, we were available, although still a bit hesitant because we had seen Seasons 1 and 2, and how vicious some of the personal attacks were from the Dragons. “Why would anyone subject themselves to a fate seemingly worse than death?”, we said to ourselves. The producers emphasized again that it would never go to air, so we thought, “Why not?” If anything, it would be an interesting once-in-a-lifetime experience that would enable us to further develop and practice our business pitch. As well, it would provide the perfect excuse to drive into downtown Toronto for some shopping! We arrived at the CBC studios mid-morning on a Wednesday with our notes and copies of our “For Absolute Beginners” Ballroom Dancing instructional DVD set in hand. We had done some practising the night before, but because we weren’t the ones being auditioned, we didn’t feel any pressure. Maybe some nervousness, but not really pressure. After all, it was the potential new Dragons who were in the hot seat. There were about eight other entrepreneurs invited to pitch, but as we introduced ourselves, we realized some of them were actually auditioning to be on the real show. As we sat in the waiting area, we noticed a few people who had that “deer-in-headlights” look. The producer that had worked with us on Fortune Hunters came up to say hello, gave us a quick briefing, and reassured us again that we were there only to help them out with the auditioning process of four potential new Dragons. She added that Kevin O’Leary (yes, THE infamous “Kevin O’Leary” … the Dragon who makes wannabe entrepreneurs and babies cry with a single glance) would be part of the panel. The first victim was called to the set. About ten minutes later, the next victim. Five minutes after that, it was our turn. It was not looking good, especially after seeing the glazed look on the other two as they passed us. Beverley and I took a deep breath and followed the producer onto the set. It was pitch dark, except for an area where lights were positioned around a lineup of chairs. As we scanned the chairs, my eye caught the dreaded Dragon, Kevin O’Leary, in the centre. At least, he was smiling. Or was that sneering? We immediately recognized one of the other Dragon hopefuls, who was a guest panelist on a few episodes of Fortune Hunters. We also recognized the Lady Dragon hopeful, a winner of many business awards including top entrepreneur of the year. We didn’t recognize the last two hopefuls, however. Kevin made a comment to the Director, “OK, are you going to give us some REAL businesses?” He was unaware that Beverley and I were only a few feet away, and seconds from making our pitch. The Director then positioned us in front of the Dragons, beside a small table where we placed our DVDs. The Dragon hopeful from Fortune Hunters smiled at us and said, “Hey, I recognize you guys!” We smiled back and said that we enjoyed watching him on Fortune Hunters, and that we knew two of his employees who happened to be students at the studio. Whew, that broke the ice! After some lighting adjustments and sound checks, the director indicated that we could start whenever we were ready. And so, our pitch began. 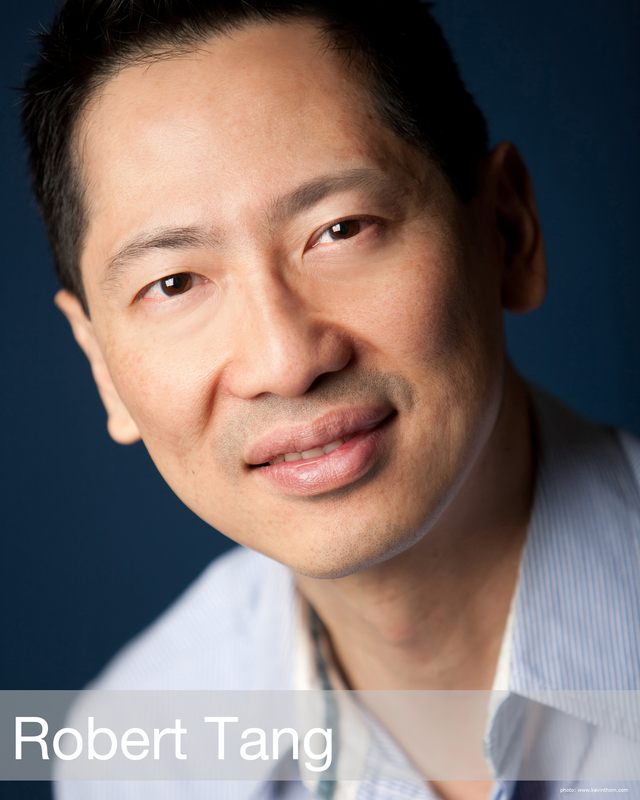 “Hello Dragons, my name is Robert Tang and this is Beverley Cayton-Tang and we are the founders of danceScape, a dance learning and entertainment company based in Burlington, Ontario. We are here today to seek investment funding of ….” OK, got through that part without stumbling. The Lady Dragon immediately started to ask questions. Then the others chimed in. Kevin was quiet. It was as much about each of the Dragon hopefuls trying to get “air time” as it was about our business pitch. Because there was no pressure on us, we felt very natural and could respond to their intense grilling. We were there for business advice and mentoring, and we can honestly say that Kevin, the one dragon that we feared, actually included in his exchange some business tips for us. It then went into the final round, where the Dragons started to indicate if they would invest or not. The other two Dragons who were the least vocal of the group indicated that they would not invest. Much to our delight, the Lady Dragon hopeful indicated that she was interested in investing! The other Dragon hopeful from Fortune Hunters indicated we were not a fit with the type of company that he was looking for, but felt we had a solid viable business concept. Kevin was also out, but he advised us to hire someone who could quickly and easily pull together a more formal business plan. We thanked the panel and handed each of them a copy of our DVD. To the Lady Dragon, I was so excited that I said, “Could I have your business card,” to which all the other Dragons laughed. Oops, breach of protocol! We then headed back to the waiting area. The producer who escorted us to the set came up excitedly behind us and said that the director and other producers were very impressed with our performance. And that they wanted us to be on the real show which would be taping in a few months. She started to fill us in on what would happen next. We were, of course, extremely flattered! And the fact that we broke through to one of the auditioning Dragons gave us hope. After all, she was no light-weight business person even if she was the only person on the panel who could appreciate the business of dance. Her reputation and success had been reported in all the top tier business publications.